This recipe is one of my mom’s masterpieces and is a family favourite. It transforms even the most mediocre of snacks into a gourmet masterpiece. My favourite way to enjoy it is paired with blue cheese, parma ham and rocket. However you choose to have it I’m sure it’ll be delicious, it’s even good right off the spoon! Start by dicing the onion. Heat the olive oil in a medium frying pan on medium heat and then add in the onion and thyme leaves. Cook until the onions are nice, don’t let them crisp. While they’re cooking, cut the figs in half and scoop the pink flesh out, discarding the skins. 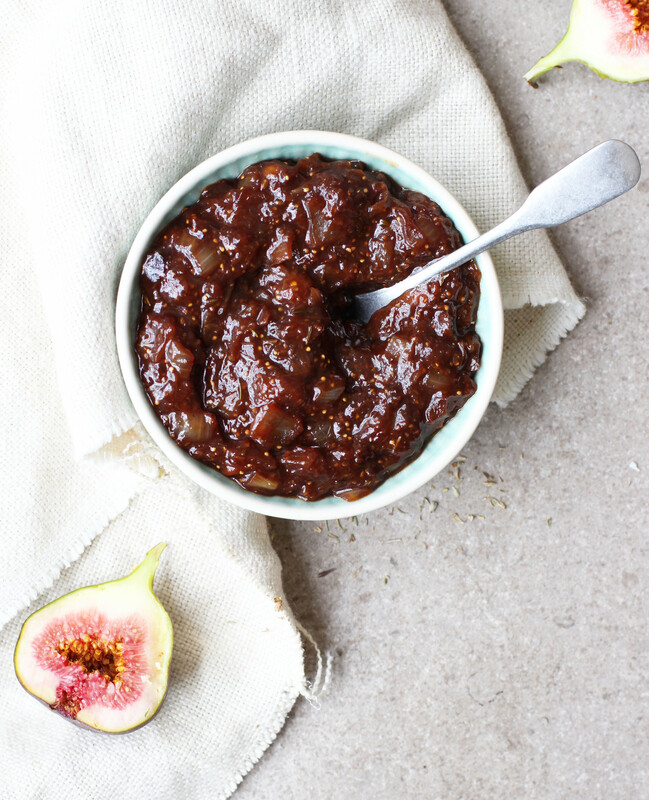 Add the balsamic, date syrup and figs to the pan and leave it to simmer and reduce, stirring regularly, for about 15 minutes. It should be sticky and thick. Sounds like another of your recipes to try, and all the ingredients are available here. Just wondering how you would store this if preparing it ahead of time? 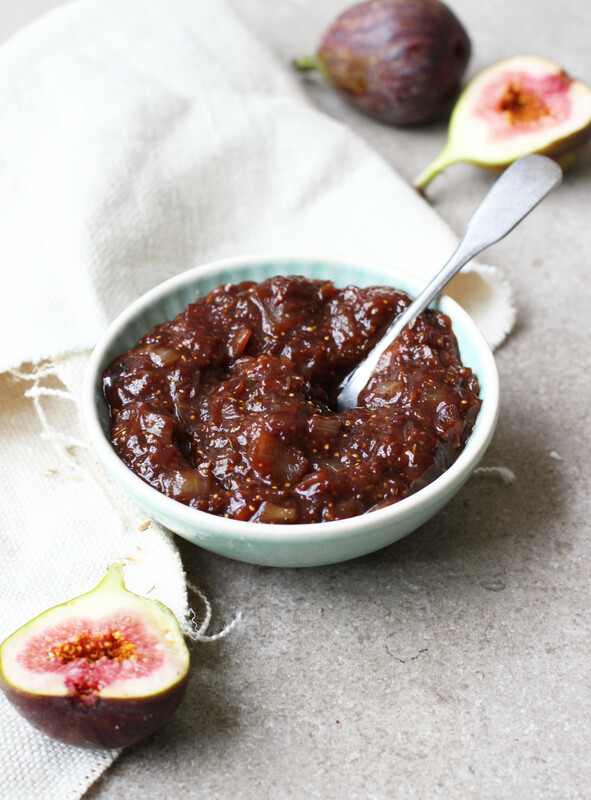 Have you tried this with fresh figs? Wonder would it work as well?